The intent of Best Management Practices (BMPs) in the Lake Tahoe Basin is to help developed landscapes better mimic their natural surroundings, thereby reducing the amount of sediment and nutrients that flow into Lake Tahoe. 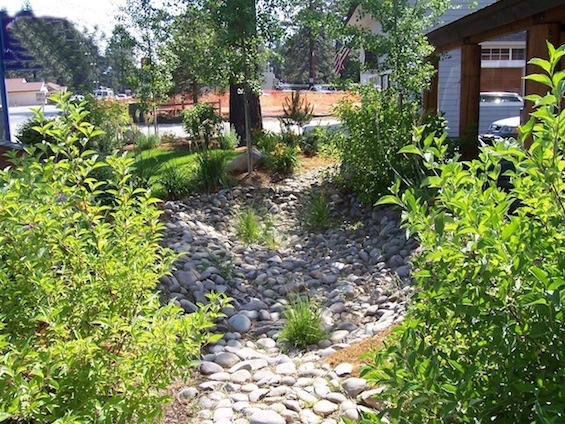 Developed landscapes can be retrofitted with BMPs to mitigate erosion at its source and meet the Tahoe Regional Planning Agency (TRPA) BMP retrofit ordinance. With careful planning and maintenance of your property, you can limit the amount of sediment and nutrients that are entering our waterways. The Tahoe RCD is no longer offering BMP plans or final inspections. Please visit the Tahoe Regional Planning Agency Stormwater Program website TahoeBMP.org Or call their hotline at 775-589-5202 for BMP resource information. All our services are grant funded and subject to change. Visit TahoeBMP.org for more information on the TRPA BMP retrofit ordinance, stormwater and fertilizer management. Use the online tools and resources to start designing BMPs for your property. 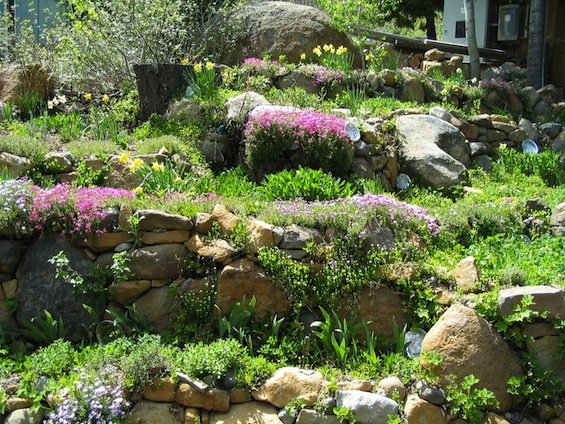 Review the Home Landscaping Guide for Lake Tahoe and Vicinity for more information (click here) on how to protect Lake Tahoe with everyday landscaping practices. Tahoe Friendly Landscape and BMPs from Tahoe BMP on Vimeo.